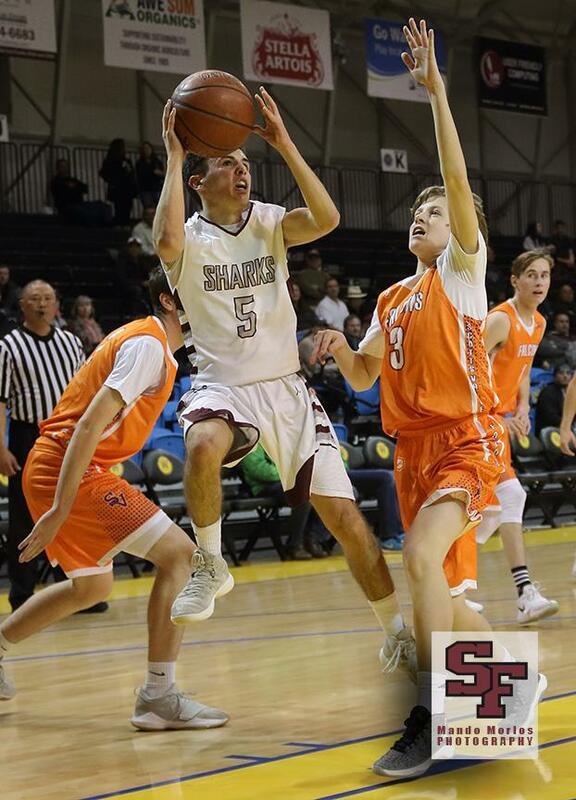 Congratulations to your St. Francis Sharks for beating Pacific Point 66-31 to open the season. EJ Kelly led the way with 20 points on the night, Jake Taylor poured in 11, Bobby Rigor had 10, Andrew Seymour had 7, Logan Manson had 6, Dominic Anderson-Nakagawa had 5, Lawson Orradre had 4, CJ Gomez had 2, Dylan Kane played quality minutes and Andy O' Rourke made a free throw and had a foul on the night. The Sharks are now 1-0 on the year and will play PCS on Saturday at Harbor. Come out and support your Sharks!